We've just returned from our maiden voyage with our VW Westfalia camper van, and it was great! We decided to spend the last two days and nights of the boys' spring break on the road, in the redwoods, and atop the bluffs. Thursday morning we set out for Samuel P. Taylor state park, which is just northwest of San Rafael in Marin County, and only a few miles away from the Pt. 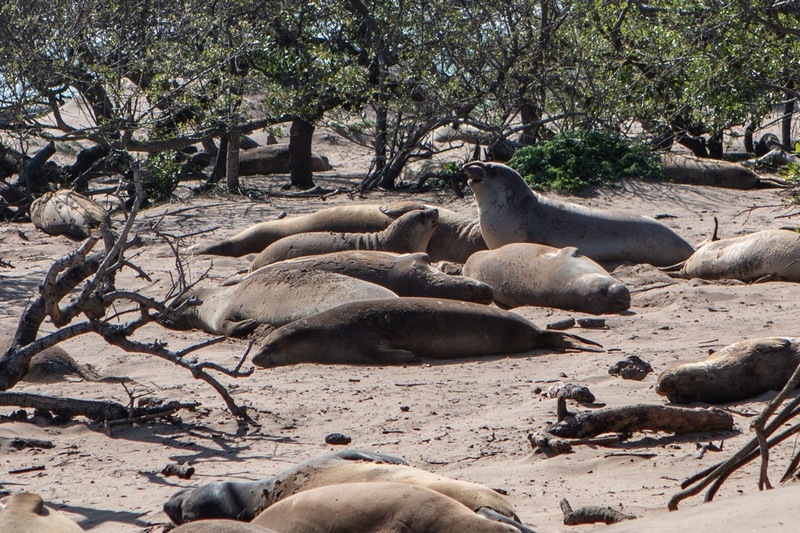 Reyes National Seashore. 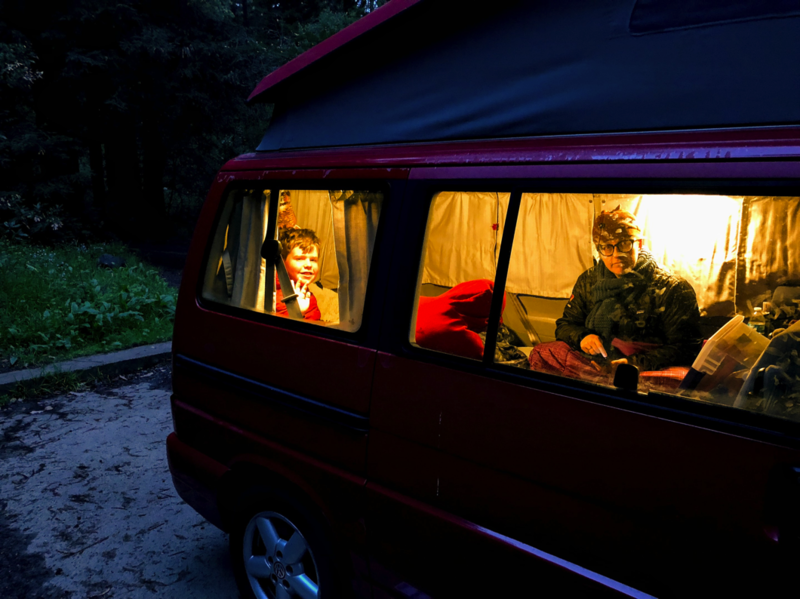 We had a blast tooling up north and then setting up the van for camping. We popped the top, turned on the party lights, cooked up a quick dinner, and then snuggled in for the night. In the morning, we pulled out and headed first for Pt. Reyes Station, a cute little town about 5 miles away. We grabbed some snacks, picked up some new books at the bookstore, and then drove over to the Pt. Reyes Lighthouse, which is at the veeeeeery far end of a small peninsula within the National Seashore. It was a super-blustery but beautiful day. After a picnic lunch in the camper, we headed down all 300-odd steps to the lighthouse, learned about the history of the area and the lighthouse itself. 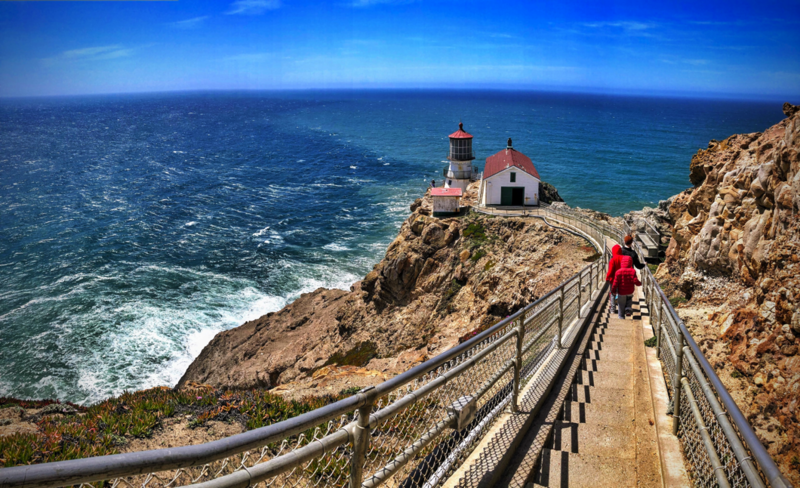 Then back up all those steps and back into the van for a little more sightseeing, including kite surfers and wrecked ships, before heading back to the state park for night #2. We feasted on tacos and s'mores, snuggled up for some reading, then hit the hay before heading home via San Francisco on Saturday. Here's a gallery of our adventure! We absolutely love Westy - she's perfect for our family. We already know there are countless more excursions in the offing, and more roadtrip adventures to come! 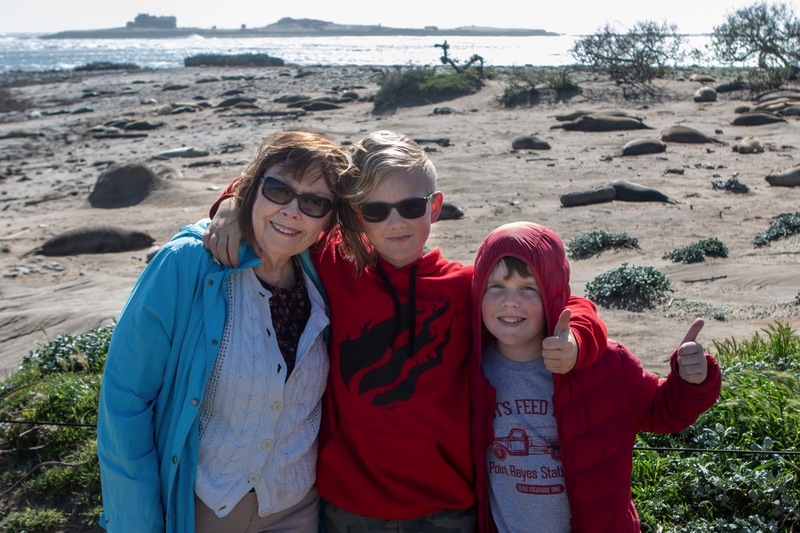 To make the most of our free Sunday with Grandma Nack, we fired up the new Westy and headed over the mountains to Santa Cruz, grabbed lunch in nearby Davenport, and then headed north to meet the giant elephant seals who congregate at Año Nuevo beach. 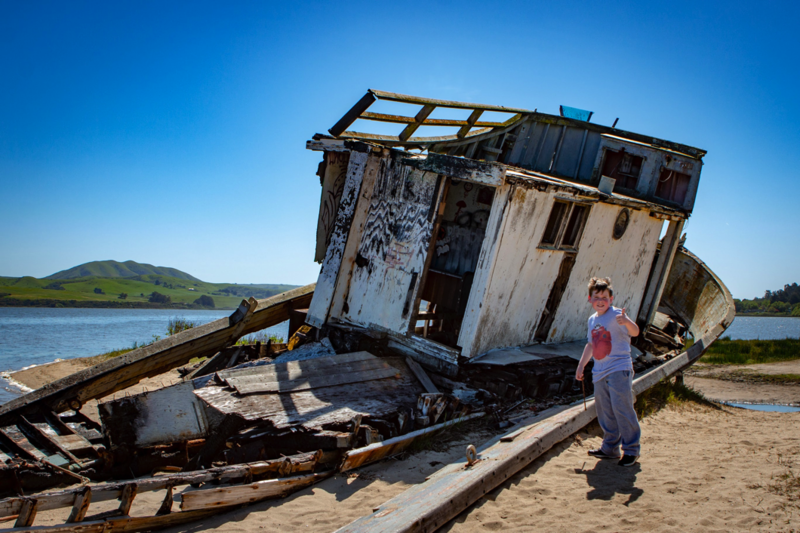 Everyone was game for tromping through a couple of miles of sand & trails to get out there, and you can see a bit of our adventures in this little gallery.